Stecke is an internationally recognized scholar in flexible manufacturing and supply chain issues. She speaks globally about issues related to supply chain management, operations and marketing interface issues, flexible manufacturing systems and seru, which is a Japanese organizational and production system that focuses on electronics product assembly. Since she was a graduate student, Stecke has been an active member of the Institute for Operations Research and the Management Sciences. She has chaired international and national meetings for the organization, which is known as INFORMS. She served two terms on the organization’s board of directors. In 2009, she was elected an INFORMS fellow. 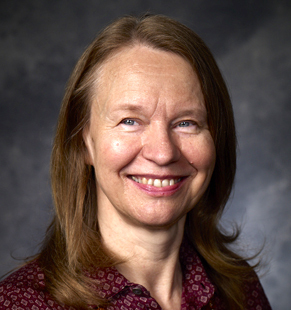 In 2004, INFORMS selected her research paper, entitled "Formulation and Solution of Nonlinear Integer Production Planning Problems for Flexible Manufacturing Systems," as one of the 50 most influential papers published in Management Science in the last half century. Stecke joined UT Dallas in 2002. Two years later, she received the Outstanding Graduate Teacher award in the Naveen Jindal School of Management. Before joining UT Dallas, she taught at the University of Michigan. She has served as an adjunct professor at the University of South Australia since 1999.